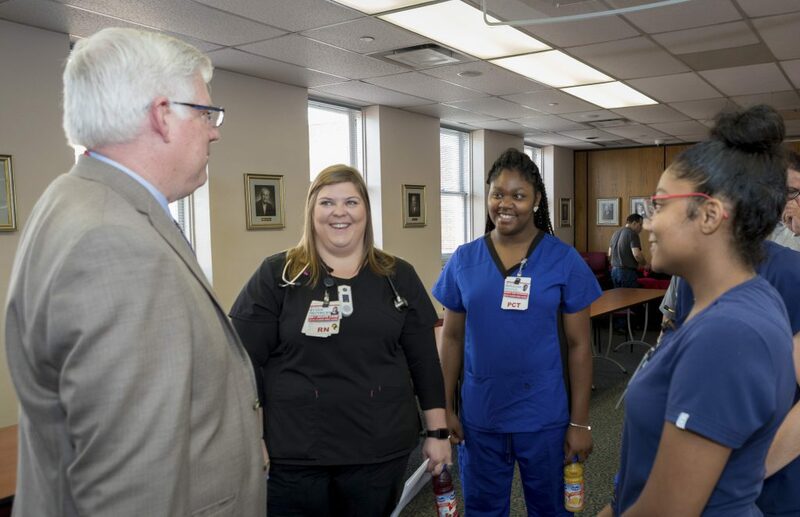 Colleagues at Samaritan Hospital had the opportunity to meet Mike Finegan, the new president of acute care at St. Peter’s Health Partners. Mike met with staff and volunteers over coffee and refreshments. 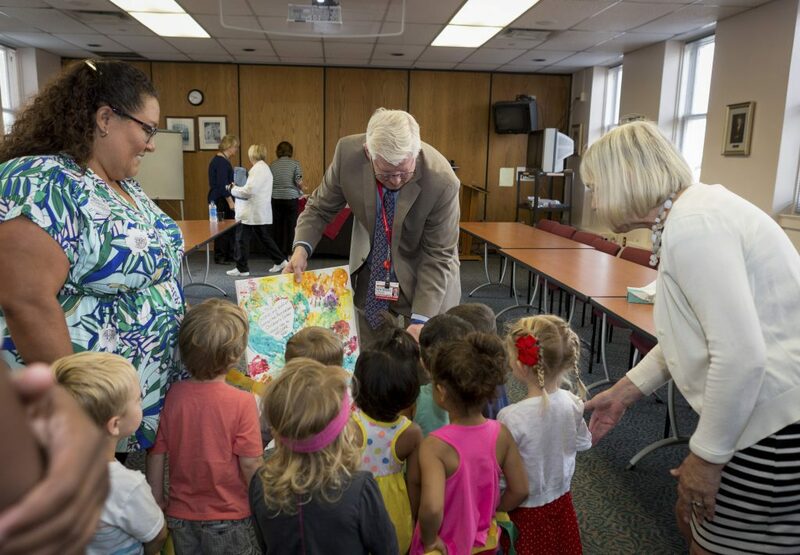 Children from the Samaritan-Rensselaer Children’s Center even presented Mike with some original artwork. Samaritan Hospital colleagues will have another opportunity to meet Mike on August 24. Colleagues at other St. Peter’s Health Partners sites will be able to meet Mike on various day throughout the month. View the rest of the photos on the St. Peter’s Health Partners Facebook Page!